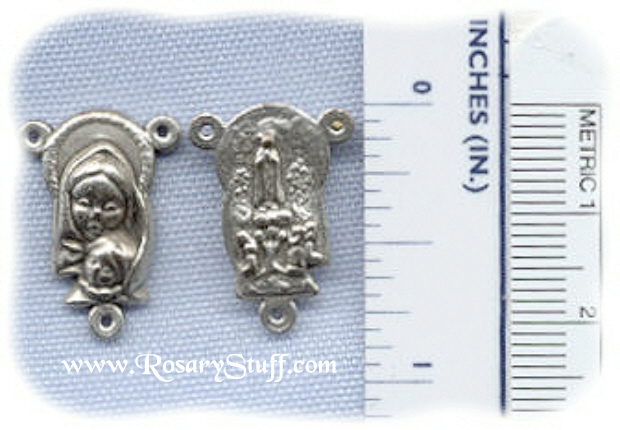 Italian oxidized silver plate Virgin Mary holding baby Jesus rosary center. This center comes with either Our Lady of Fatima or the Sacred Heart on the back. Your choice. It is a little over 3/4 inch tall (including rings) and 1/2 inch wide.